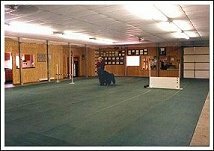 Rowens Kennels Training Center opened December 1986 to offer quality training in specific classes by experienced and knowledgeable trainers, and a place where the obedience community could train their dogs that offered comfort, good matting and equipment to simulate true ring conditions. A wide range of obedience, show, field and pet supplies is located in the training building for your convenience. All dogs coming to the Training Center must have had a Rabies (if 4 months and older), DHLPP, Bordatella immunizations and canine flu and be free of fleas and ticks. Puppies 3 to 4-1/2 months old at time of registration, with age-appropriate immunizations. Dogs, 6 months and older, with required immunizations. Classes at all levels are taught by experienced and qualified trainers who can help you develop your dog to his full potential, either as a pet or a dog show winner. A fun class for active dogs negotiation various obstacles. Special problems can be evaluated and a program recommended for owner controlled behavioral modification. 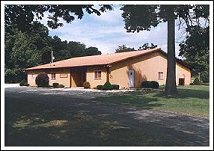 The 3600 square foot training building is available for rent by individuals or groups for training or other dog related activities. A fully-equipped kitchen enables the users to serve anything from a snack to a full meal. The large all-weather, lighted parking area gives easy access to the building. There are restroom facilities in the Training Center. Rowens Kennels is proud to offer trainers who are dedicated, talented and thoroughly enjoy working with dogs and their owners. Their goal is to help the dog owner to have a pet who is a pleasure to own, live with, and if desired, exhibit in the sport of dog showing. Our classes cover not only training, but also encourage responsible pet ownership and health and care information for the well-being of your dog. Pat Owens, Certified Kennel Operator and Director of Training, has trained and shown seven breeds of her own dogs beginning in 1961. She has attained titles on these dogs through Utility Dog Tracking, UDT and earned High in Trials, while exhibiting throughout the United States and Canada. 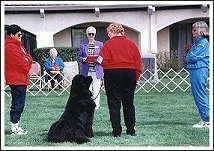 The Newfoundlands were shown in conformation, obedience water trials and dreaft tests. In 1970 she began instructing classes in addition to giving demonstrations for various civic groups and teaching mini-classes for the public schools.